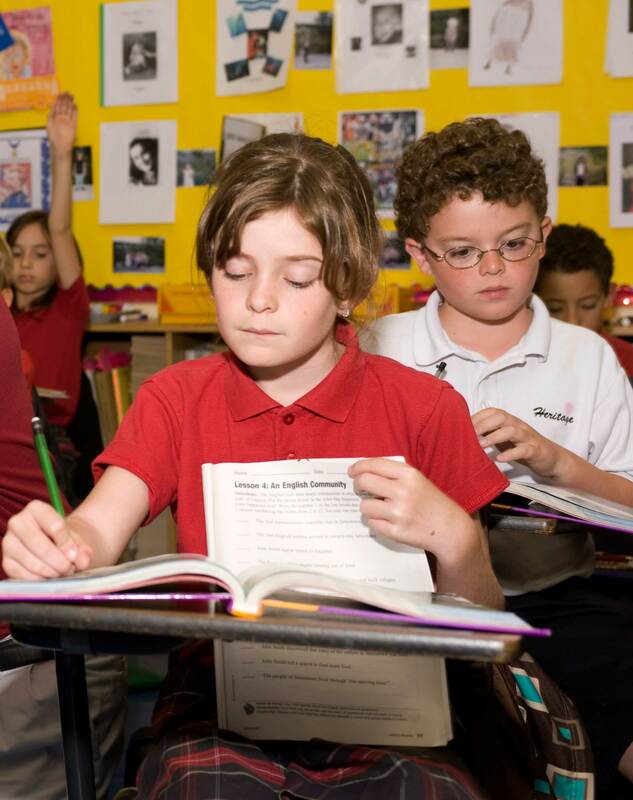 As one of the best private elementary school programs in south Florida, not only are we committed to developing basic skills, mastery of content areas and maintaining an enthusiasm for learning. Our elementary school students learn the fundamentals of reading, process writing, mathematics and English through a logical progressive sequence. In addition to these basics, the curriculum includes social studies, handwriting, spelling, science and health. Throughout our program there is an emphasis on the development of good study skills. The core curriculum is supplemented by "enrichment" classes in computer education, art, media center, music, Spanish, Chinese, PE, and investigative science Lab. In addition, students in grades four through six may elect additional fine arts offerings which include (depending on grade level) drama, orchestra, strings and chorus. productive, independent work and success when they progress into our Upper School. In grades one through five, students are taught in self-contained classrooms and are grouped for reading and math. Children are enriched and challenged through a variety of activities designed to foster higher level thinking skills. In sixth grade, our plantation campus students work with a team of teachers and are grouped according to reading and math skills. All of our teachers are experienced and have an enthusiasm for learning and for the students they teach. They are fully certified in their grade level. In addition, each classroom in grades 1 - 6 has a full-time teacher assistant. The assistants coupled with our low student to teacher ratios assure that teachers "have time" to give every student the attention he or she needs to be successful. The faculty is also committed to the Heritage philosophy of developing good character and self-esteem as well as the reinforcement of traditional values in our students. There is a wide and varied array of after school activities offered to our Broward County's elementary School students. After school classes in the art, dance, instrumental music, karate, cooking, computers and other areas of interest to students are available. Students may also participate in Student Council, Junior Thespians or Math Superstars. Of interest to many Lower School students in south Florida are the many home games played by Heritage Varsity or Junior Varsity teams. Students participate in regularly scheduled pep rallies which build pride in the Heritage teams. The turnout of Lower School students and parents to cheer on the Patriot teams has become a Heritage tradition. During football season, one football player and a cheerleader become "buddies" to each Lower School class, providing positive role models for their younger fans.